This set is based on samples of the voice of Julie who is already featured in our 3 other Julie Collections. But this time the samples are resynthesized to create new ones that are playable chromatically across the keyboard. This means that melodies and chords can be played contrary to the previous collections that are made of one-shot samples. In most cases, the actual flavor and tone of Julie's voice are preserved in the resynthesized samples within her natural range and the notes outside of it sound good too. In all cases, the original variations (pitch and volume) of the vocal samples are preserved with their natural irregularities. Of course when resynthesizing, some of the original sound is either lost or transformed and further modifications can be added but for this set I tried to stay the closest that I could to the original most of the time. None of the samples are looped and most are rather short but a few are over 3 seconds long. 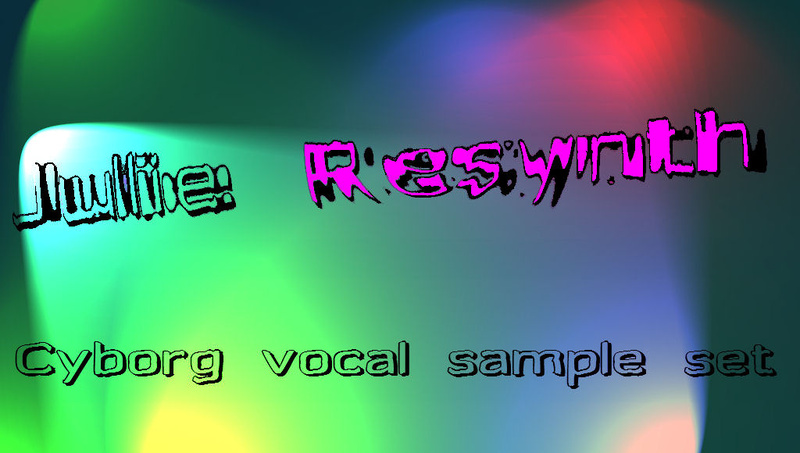 This is not a classic vocal library with choirs (for instance none of the samples are looped), nor is it a synthesized/ vocoding sample set. It's an hybrid that retains the flavor of Julie's voice while delivering new original sounds suitable for keyboard playing and melodies. It contains 38 programs/waveforms and they are all multi-sampled. There are 1,149 samples. 2- Wusikstation V5.6.2 or better sfz format with 73 presets. Demos are dry and made in a regular soundfont player. All are one track, dry and only one program is used. Wusikstation and Kontakt 3 presets demos, All are one track, no external processing, only one preset used. Note that the package above does not include the BeatMaker 2, Thumbjam and smaller soundfont versions that are on the Sounds for iPad and iPhone page, nor the Caustic 2 version. There will be no refunds, so please try the demos before buying. All products are downloadable.